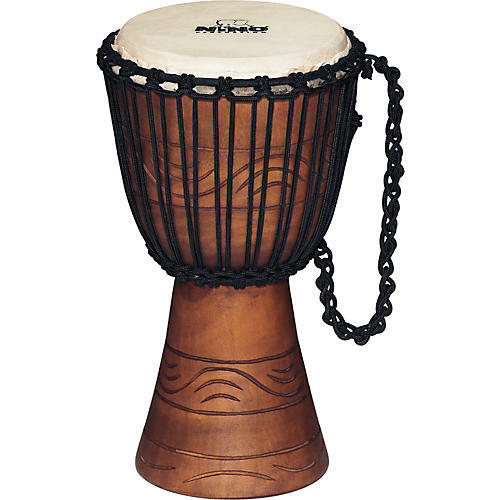 The perfect djembe for the younger generation. The Nino Original African Style Rope-tuned Wood Djembes are carved from one solid piece of plantation-grown mahogany wood. These high-quality instruments are crafted with great attention to detail and provide an outstanding sound. The complex rope-tuning system guarantees an ideal and long-lasting tuning of the instrument without the use of any metal or sharp edges. Due to the small size and light weight, they are the perfect drums for young children.